This last July I had the privilege of giving a session on Moodle at the ETAI 2013 Summer Conference in Jerusalem. That session (‘How I use Moodle at Kugel”) was my first ever as a speaker at any ETAI Conference. There is a PREZI that can sum it up. Thanks to the Conference organizers for the opportunity to share. I enjoyed the experience very much. 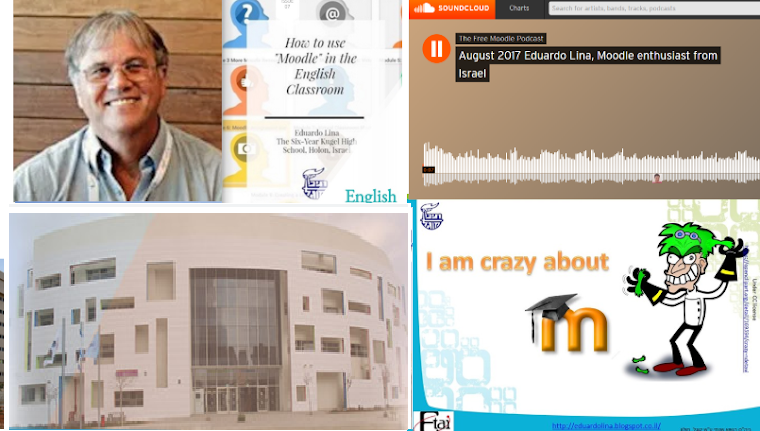 During this 2013 - 2014 school year, I keep using Moodle (abbreviation for Modular Object-Oriented Dynamic Learning Environment) as a complement to classroom work: I introduce texts in different formats (written text, video, audio, images); I put links to different websites (to mention but one example, The British Council’s “Learn English Teens” Magazine); I add “Hot questions”, surveys and questionnaires (created on Moodle or on Google Drive); I encourage pupils to share in forums so that even those who do not speak in class can have their voices heard; I give homework, assignments and quizzes, and make it a point to relate to them in class; I use the form of blended learning known as “The Flipped Classroom” in which pupils learn new content online by watching videos, reading online material, listening to something, etc. so that I can interact with them, both on Moodle and in class, relating to what they have learned on their own; I ask pupils to upload digital material of their own… In short, Moodle allows me to have one place where I can have pupils access content online without sending them to lots of different sites, and getting them lost on the way. Just like last year, I use Moodle at Kugel for all the courses I teach this school year. Kugel High School works with Mashov, the company that provides Moodle as part of the package deal they offer schools. With the full support and encouragement from the principal, I have just started facilitating / tutoring an online course for Kugel’s teachers in Hebrew on Kugel’s Moodle. My idea is to teach them how to work with Moodle. I do so because I think that teaching and studying with Moodle is by no means “my personal little project” at school. We at Kugel believe that working with Moodle is part and parcel of Kugel’s educational work nowadays. Time will tell whether the effort is successful or not. I use Moodle in my Spanish as Foreign Language and English as Foreign Language courses. As far as English is concerned, I use Moodle with students of all levels, since I teach one 10 th grade Special Education class, one 10th grade 3 - 4 points Bagrut class and one 11th grade 5 points Bagrut class. Moodle allows me to present materials and get pupils to work in different levels, which means that I can personalize instruction. Pupils are expected to study with Moodle either at home or at the School Library or Municipal Public Library, where computers with Internet connection are available. I wish to emphasize that Mashov’s work in anything that has to do with Moodle at Kugel is superb. Mashov makes the latest version of Moodle available , and helps me solve any technical problems that may show up. I am more than happy with their work. Are all my pupils happy with the idea that they must do extra work that is available 24 / 7? I guess many are not, of course, because extra work is not something that seems to appeal to pupils in general. Am I wrong? Anyway, some pupils complain, while others are happy. You can’t please everybody, can you? I must add that their happiness when it comes to Moodle is not something that bothers me, though. I do not ask them whether they want to study with Moodle or not. Instead, I simply tell them they must do so because I believe this is important when it comes to teaching 21st century skills.I know this does not sound “democratic” or politically correct, but I take it as something I must do which will not harm them. I hope they eventually appreciate it. Using Moodle, the free and open-source e-learning software platform, in our work as teachers of English as a Foreign Language in Israel is very important . For me, Moodle is not just another learning environment, but the best choice when using New Technologies with my pupils. I have used others that are very good, too. Using Moodle at school with elementary to high school pupils, we can teach the critical skills pupils need to be successful in the digital age. Teachers can encourage learning to collaborate with others, and connecting through technology. Some of Moodle’s features facilitate working together to solve a common challenge, which involves the contribution and exchange of ideas and knowledge or resources to achieve a goal. To be sure, doing that in English helps us teach the language. 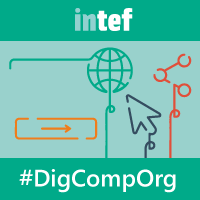 Equally important, using Moodle with our pupils we teach Information and Communications Technology (ICT) literacy — learning in digital networks. Learning through digital means can enable our pupils to function in social networks. No less important is the fact that Moodle is used at lots of Universities and Colleges everywhere, including many in Israel, so using Moodle at school we can help prepare our pupils for their future academic life. You must have heard of Moodle, and may want to get detailed and specific information as to what you can do with it (and what it can do for you). Just goggle “In the Mood for Moodle” , and you will get Jeff Standfords’ article containing exactly what you may want. You can also get an insight into Moodle by checking the Moodle website at https://moodle.org/ . Finally, and as could not be otherwise, just writing “Moodle” on Youtube will take you lots of videos which include tutorials, examples of activities, and more. One inconvenience with Moodle is that student privacy concerns will not make it simple for you to access the Moodle site of any given school so that you can check what teachers and pupils do there. It is true that some Moodle sites may grant you visitor’s access, but then you may just be able to see some features, and probably do nothing. A Moodle site is not a standard open-to-all website. You need to be able to login in order to really appreciate Moodle. The best way to learn what you can do with Moodle is to take a course and at the same time practice what you learn. You can learn Moodle on your own, but since collaboration plays such an important role in Moodle, you may miss much this way. I wish the Ministry of Education saw the importance of providing Moodle courses to teachers, especially teachers of English. In the absence of such a venue, there are a number of ways available to learn Moodle. 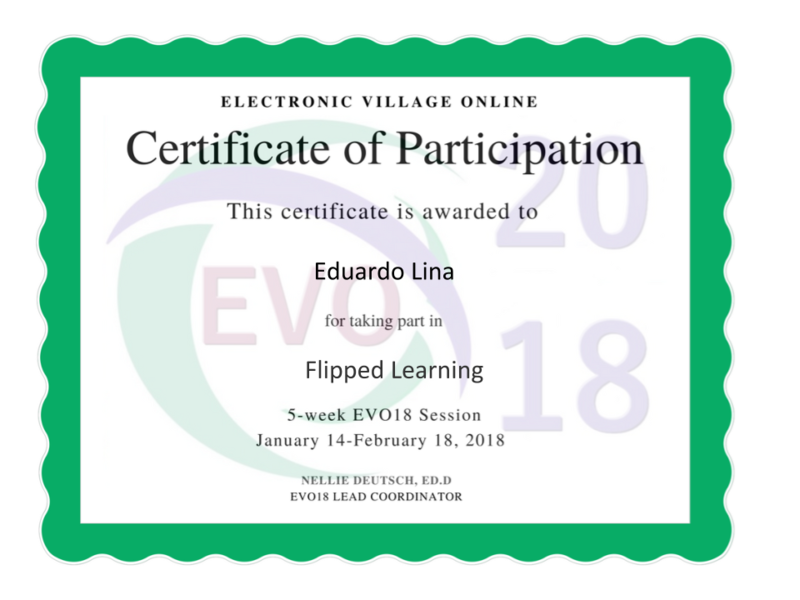 I enrolled in a few of the excellent free courses offered by Nellie Deutch and colleagues at Integrating Technology for Active Lifelong Learning (IT4ALL). Two of them were MOOCs (a MOOC is a Massive Open Online Course) in which people from lots of countries took part, worked together, taught each other, prepared tutorials, etc.. That was something! It seems to me that a fully online course combining real time (synchronic) meetings and a-synchronic work helps master Moodle a lot. Incidentally, the material is available. Check the IT4ALL site, and have a look at two Facebook groups: Moodle for Teachers and Moodle Mania. Another way to learn Moodle is by accessing a course where student privacy issues are not a problem. Moodle org. provides you with such an opportunity: Mount Orange School is a real Moodle site with real courses for students aged 8 to 18 with real student data and real (fake) students and teachers. You can access many Moodle courses at the site, as the school is open to anyone. I am sure there are more possibilities to learn Moodle on the web, but, again, I see a role for Israel’s Ministry of Education here, helping teachers in Israel learn Moodle by providing courses that cater to their needs. This is not a dream at all: at http://vcampus.cet.ac.il/ in the framework of Matach, I facilitate / tutor a course for Spanish as Foreign Language teachers who work in the Israeli school system. I teach Moodle, and we collaborate creating online material related to different aspects of teaching and learning the language. I used to tutor / facilitate courses using High Learn, but the Spanish as a Foreign Language Department at the Ministry has decided to help its teachers use Moodle since it is available in many schools. Who knows? Perhaps the Ministry of Education is working on giving Israel’s schools access to Moodle even as I am writing these lines. To conclude, let me just add that I do not always succeed when using Moodle (and not just then), but then, you don’t have to be afraid to fail when you try something new that you believe is good for you and your pupils. “Failure is an essential part of success“, they say, so don’t be afraid to try and fail. If at school you have access to Moodle through Mashov or any similar program, try it. 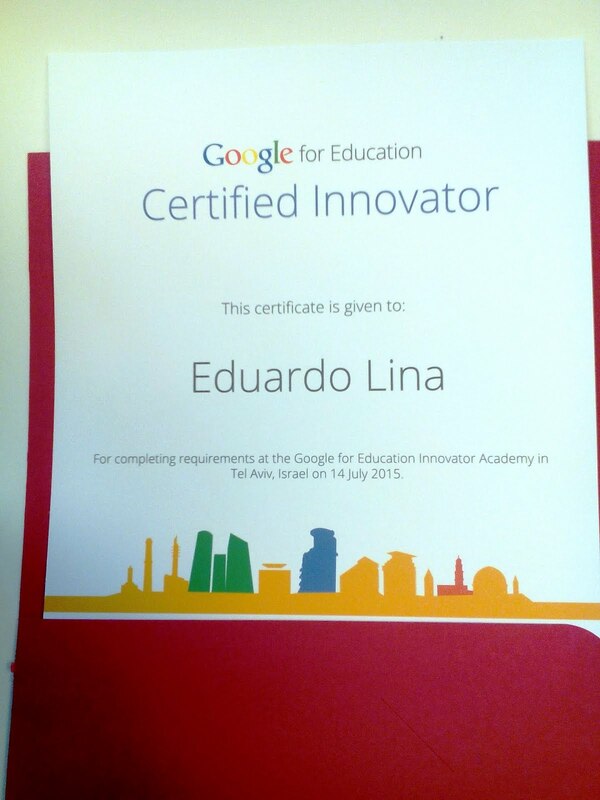 Don’t be afraid to innovate because here is where we , teachers, meet the Start Up culture in the Start Up Nation. We do not lack the entrepreneur's spirit, do we? * Eduardo Lina is a Spanish and English teacher at Kugel High School (www.kugel.org.il) in Holon. He has a BA, M.A and Teaching Certificate in English from the Hebrew University; a diploma in Teaching English to those with Specific learning Disabilities (Dyslexia) from Bar Ilan University; a Teaching Certificate in Spanish as Foreign Language from the Ministry of Education; and has recently completed an M.A. in “information Studies - Knowledge Management Trend” at Bar Ilan University. He gives online courses to Ministry of Education’s Spanish teachers at Matach. This is the name of one of the activities you can add on Moodle. Hot question enables students post/vote questions so that teachers know what they are expecting.